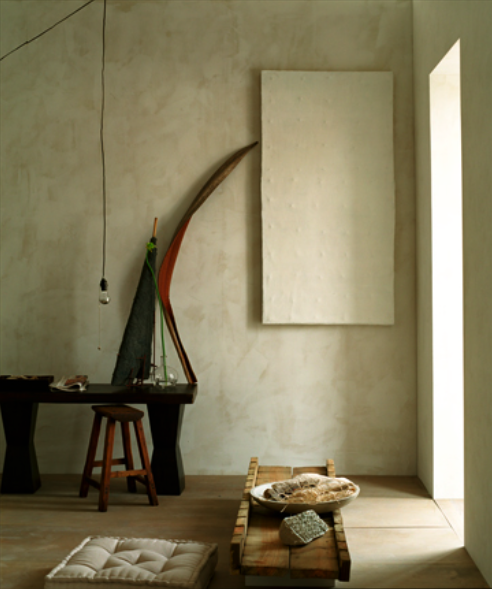 My aesthetic tends to favor streamlined spaces softened with neutrals and warmed up through texture. That's why I'm so drawn to these pictures frames and canvases with almost nothing! I'm a big fan of a thin gold-leafed frame such as in picture #1. It's always classy and never goes out of style. Subtle sophistication. I love this clean look myself. I did the easiest art project in the world with just twine, canvas, and some fabric a while back. Check it out here: http://makeundermylife.com/no-paint-artwork-in-15-minutes/. It used no paint and took less than 15 minutes to do! that last photo looks beyond inviting. the textures are so lush and the couches look like clouds. beautiful. i adore that last room! 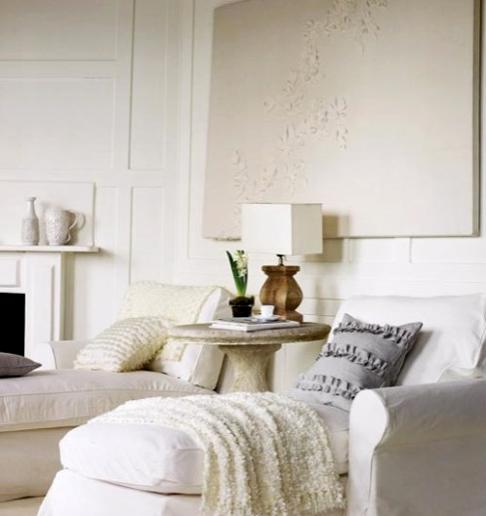 those frilly pillows accent the detail on the canvas perfectly. Sometimes the most impressive art is the ones that does not jump off the wall to smack you in the face, or even the one that sits pretty in place but, rather the one that recedes and floats and moves the space. The last one with the matching chaise lounges is my favorite. I wish my bedroom was big enough to hold one, i'd probably never leave that room. so true..."less is more" as shown in these images. i especially love the last image...all of it. Love these subtle examples - thanks!